The first peculiarity of this locality is that it is not an island: the distance from the sea is 4 km. Isola di Capo Rizzuto is a beautiful promontory in the province of Crotone, on the eastern side of Calabria. Its centre includes the fractions of Le Castella, Capo Rizzuto, Le Cannella, Marinella, Praialonga and Sant'Anna, and almost all of them are on the coast. This enchanting stretch of land is part of the protected marine area between the park of the Sila and the Ionian sea, one of the most beautiful and wide areas of the entire Mediterranean area. 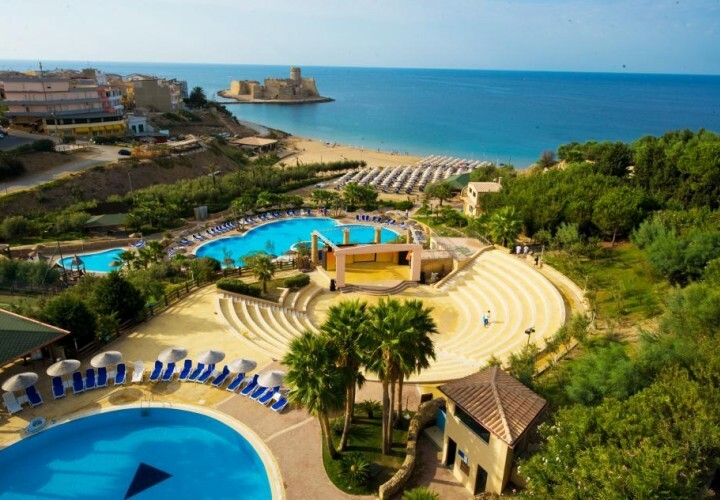 This oasis, characterized by crystal-clear waters and extraordinary beaches, has the typical mediterranean climate with mild winters and temperatures over 30°C during the summer. Many cultural and gastronomic events are organized in Isola di Capo Rizzuto throughout the entire year like the Festa dei Popoli, a multi-cultural initiative in december, and the stands prepared in Piazza Mercato squar where shows and live music are organized. In august, there are the "Sagra del Gusto" and "Saperi e Sapori del Mediterraneo" dedicated to the genuine products of the land with the tasting of typical products of Crotone. The Calabrian gastronomy is famous all over the world for its typical cheese, "butirri" (small sacks of cheese with unsalted butter), wild fennel, "sardeddra" (also known as calabrian caviar), "soppressata" and "'nduja". Isola di Capo Rizzuto is a protected marine area, also awarded with a "bandiera verde" (assigned by the Foundation for the enviromental education) for its beaches suitable for families with children. It is not only a renowned beach locality with crystal-clear waters and sandy shores but also an important archeological site: on the Capo Colonna promontory there are the Archeological Park, the Sanctuary dedicated to Hera Lacinia and many underwater ruins of greek walls.